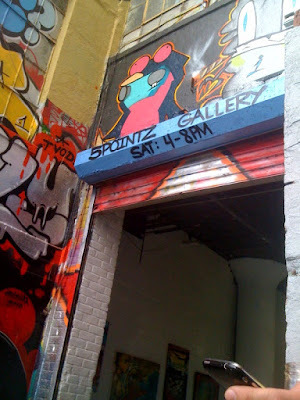 The other day, I had the pleasure of hanging out at 5 pointz for it's official gallery opening. Meres (the gallery coordinator) is displaying a lot of canvas work at the gallery. And some canvas' are for sale. I had a great time. It's open every Saturday afternoon. Be sure to stop by, I promise you'll see some really interesting art.